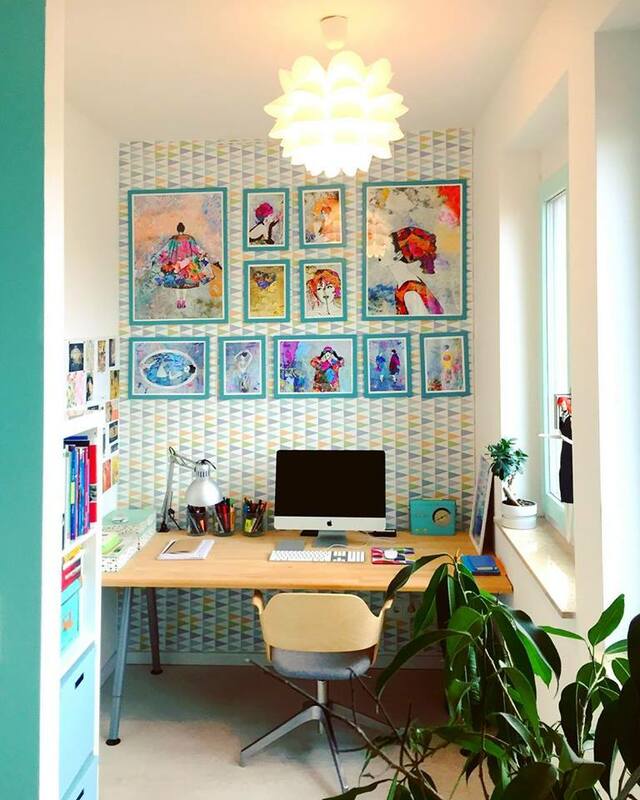 No more excuses for a boring home. You can buy prints in a special paper for fine arts or posters (poster paper). 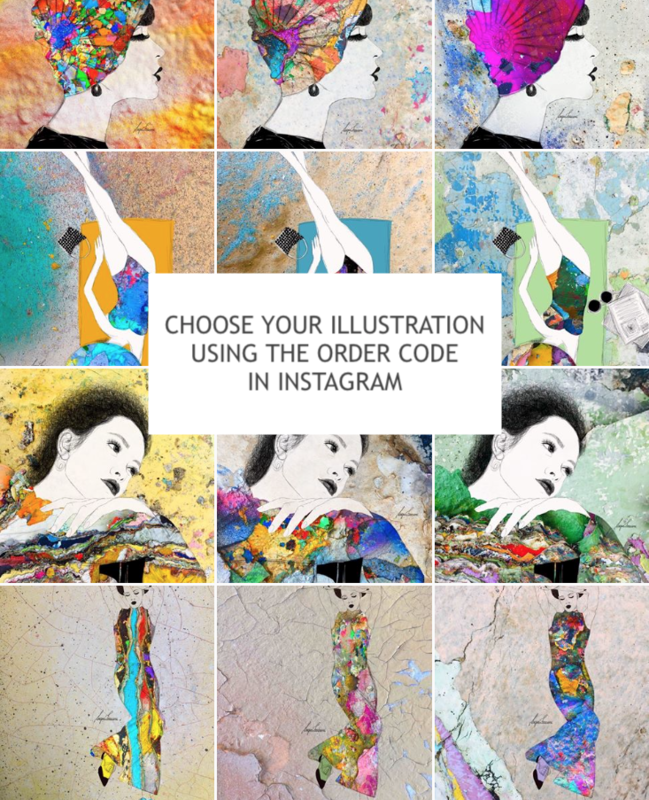 You have more than 600 options of illustrations to choose from. The diference between prints and posters are the kind of paper and the size. Posters are printed in Posterpapier Matte 180g/cm2 without margins. Prints are printed in fine art paper Mattes Lithorealistic Papier 270g/m2 with white margins of 1 cm (approximately 0.4 inch). Free shipping for orders to Europe above € 75,00! 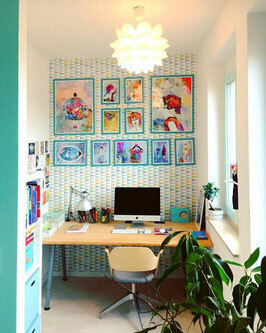 Illustration (your choice) printed on Mattes Posterpapier 180 g/m2, without white margins and signed by the illustrator. Frame not included. 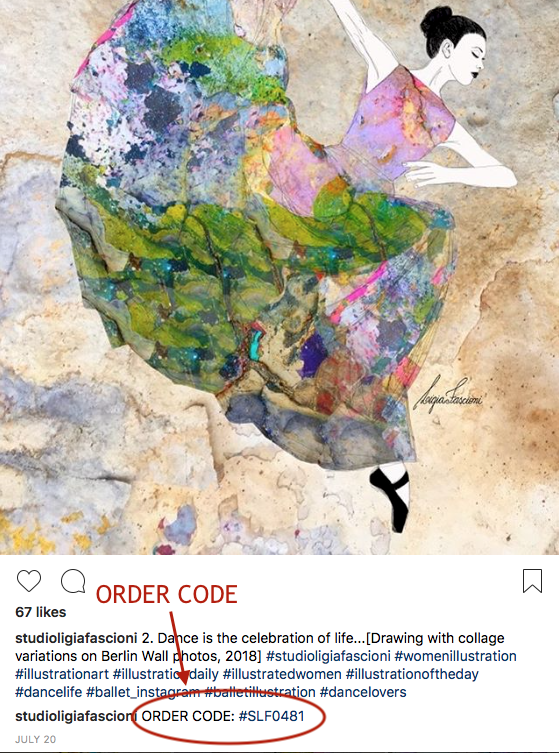 Choose the illustration in instagram and look for the ORDER CODE in the comments. This is the number that identifies the image you want. You will receive a confirmation with the image by email before the print. Illustration (your choice) printed on Mattes Lithorealistisches Papier 270 g/m2, with white margins of 1 cm (approximately 0.4 inch) signed by the illustrator. Frames not included. Still have doubts? Please send us a message (Portuguese, English or German).